A week is left before the mid-term elections to the US Congress, but Donald Trump has not yet gained the support of the European Union in one of the most important issues for himself - Iranian. The EU not only did not support America’s withdrawal from the Joint Comprehensive Plan of Action (JCPOA) or the “nuclear deal” on May 8, but also intends to create a mechanism for circumventing US sanctions. To prevent this, the White House must undermine the European consensus. And, it seems, it succeeds. On October 30, the Danish Foreign Ministry recalled its ambassador from the Islamic Republic of Iran (IRI) and announced that he would seek EU sanctions against Tehran. The reason was the attack by a Norwegian citizen of Iranian origin on the activist of the Arab Movement for the Liberation of Ahwaz (ASMLA). Copenhagen says Iranian special services are behind the attack. ASMLA is a separatist organization that seeks to separate the rich oil province of Khuzestan in the Persian Gulf region from Iran. For the independence of the Arab-populated Khuzestan in 1980, Saddam Hussein began an eight-year war that killed more than half a million people. In late September, an act of terrorism occurred in the city of Ahwaz, in which 24 people died. The Iranian Foreign Ministry was summoned for questioning by the ambassadors of Britain, Denmark and the Netherlands, and demanded that Copenhagen and Amsterdam extradite ASMLA representatives responsible for the terrorist attack. 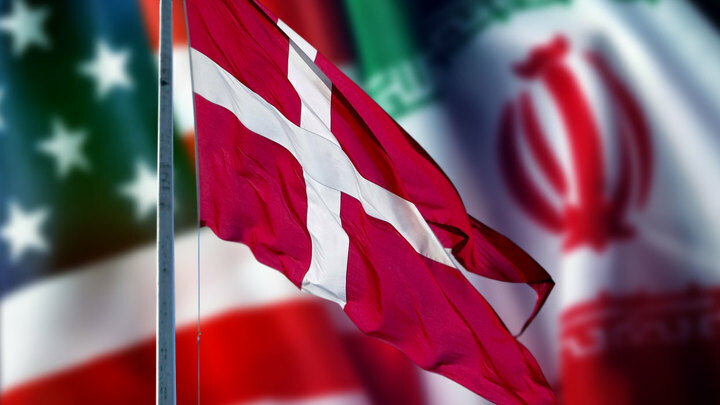 Danish Foreign Minister Anders Samuelsen says openly that his government “will respond to Iran and will discuss further measures with its European partners,” that is, sanctions. Copenhagen’s initiatives will be very useful for Donald Trump, who may lose the congressional election because of an investigation into Russian intervention, a migration crisis on the southern borders of the United States, and a recent attack on the synagogue in Pittsburgh. Trump needs EU support in the matter of sanctions against Iran. In August, the US president introduced the first package of sanctions against Iran’s aviation and auto industry, and measures restricting Iran’s access to the dollar and precious metals. More powerful sanctions against the oil industry of Iran will come into force on November 4, two days before the election to Congress. Despite the fears of the European business and the departure of large companies from Iran under the fear of sanctions, Brussels made it clear several times that it would not allow Trump to destroy the JCPOA. However, Iran’s attempt to crack down on the separatists who have been sheltered by EU countries could destroy the pan-European consensus. In June, a wave of anti-Iranian sentiment was launched in France, which accused Tehran of attempting to launch a bombing attack on a demonstration in Paris with the participation of the Iranian opposition. US Secretary of State Mike Pompeo stirs up fears of Iranian attacks. In May, he accused Iran of conducting “murder operations in the heart of Europe”. Although not a single murder case has yet been reported. Iranian Foreign Ministry spokesman Bahram Qassemi has already seen through Washington’s plans. “This is a continuation of the conspiracy of enemies to damage Iran’s relations with Europe at such a critical time,” he said, commenting on the statements of the Danish minister. The fact that it was Denmark that played the role of the “fifth column” of the White House does not cause much surprise. Copenhagen - a devoted ally of Washington, a supporter of NATO expansion, he also supported the US invasion of Iraq and Afghanistan. The transatlantic solidarity of Denmark today is reinforced by the pressure of Americans on the largest Danish bank. The US authorities are conducting an investigation against 200 billion euros in money laundering against Danske Bank. Bank shares fell 33% this year, dropping to 2015 levels. Similar instruments of financial pressure from the United States at various times were used against the French BNP Paribas and the German Deutsche Bank. It is clear that for the introduction of EU sanctions, the support of all 28 member states is needed, and Denmark and Norway will find it difficult to set up the whole of Europe against Iran. But Copenhagen could undermine the creation of a major circumvention mechanism for US sanctions. JCPOA supporters can only pray that Trump will lose on November 6th. This should ease White House's pressure on Brussels in the Iranian direction. Indicators and Causes of the "Record Low” Value of Iran's Currency.